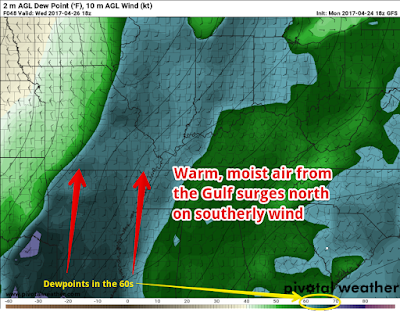 A wet weekend marked by chilly temperatures is in the rear-view mirror with the early part of the work week defined by more typical springtime temperatures in the mid 70s to near 80 degrees and abundant sunshine. However, as you might expect, you should savor these days as they don't typically stick around for long! We're back into a wet - and stormy- pattern by Wednesday that carries us right to the end of the month. As high pressure responsible for the mostly sunny sky and warm temperatures shifts east, southerly flow is re-established and a cold front makes its approach by the middle of the week. Ahead of the front, Gulf moisture will raise dewpoints into the 60s on gusty south wind, sufficient to support thunderstorms. 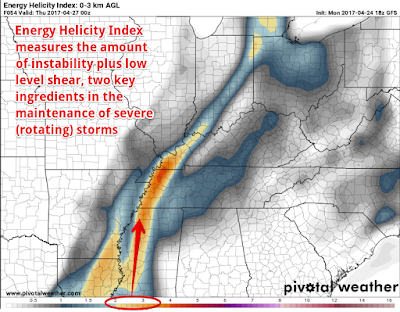 In addition, there will be enough instability and wind shear to support the threat of a few severe storms. The daytime hours Wednesday should be mainly dry, but as the sun sets, look for a line of storms to be moving quickly across AR, pushed by a cold front. The line will move across the metro during the mid to late evening hours or most likely between 7pm-midnight Wednesday. 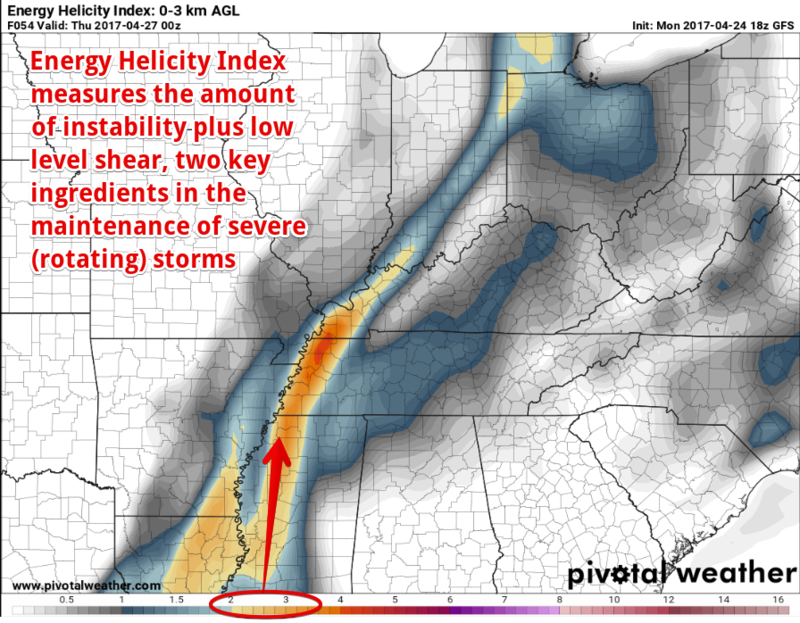 The severe weather risk is higher just to our west, but as indicated by the graphics above, is also possible in the metro. 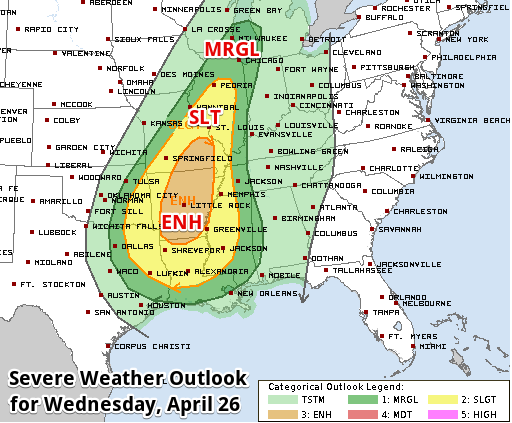 [UPDATED Tuesday, 6:30am] An Enhanced Risk of severe storms (category 3/5) is forecast for areas just west of the metro with a Slight Risk (category 2/5) covering metro Memphis. This outlook will be updated again on Tuesday afternoon and a few times Wednesday and could change based on newer information from the computer models. For now, be prepared for the possibility of damaging wind and perhaps some hail or a tornado. Heavy rain (an inch or more is possible) and lightning are likely. Thursday will see high pressure build briefly back into the region, but by Friday, low pressure over the Plains will set the stage for additional storms, some of which could be severe heading into the weekend. Our best chances for storms appear to be late Friday into early Saturday, then again Saturday night and Sunday. The daytime hours Friday and Saturday MAY catch a break based on the latest model data, but the weekend situation is very dynamic and could easily change. Once again, somewhat like last weekend, periods of heavy rain appear likely. 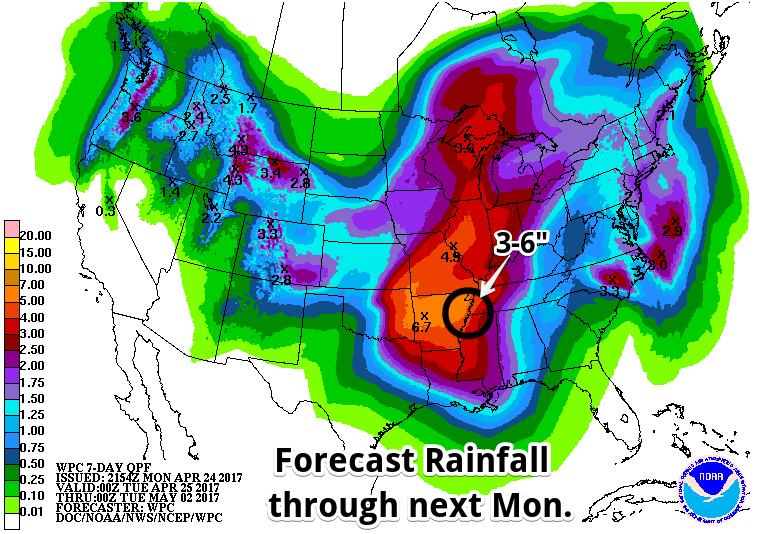 Right now I'd say Sunday is the most likely day we could experience heavy rain during daytime hours. Rainfall totals from Wednesday evening through Sunday could be in the 3-6" range, more than we got last weekend by a factor of about 2. As for severe weather threats, there could be a chance of damaging wind and hail Friday night and all modes of severe weather (wind, hail or a tornado) on Sunday. The current outlooks from the Storm Prediction Center for Friday through Sunday is shown below. Again, these WILL change multiple times between now and then, but this is a heads up that you need to remain weather aware as we approach the weekend. 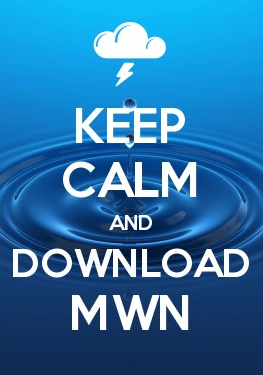 Stay up to date with the latest forecast from MWN via our website and mobile apps, and via our social media channels and blog, all linked below. Side note: current conditions from Bartlett, TN are unavailable in our apps and website due to weather station maintenance. We expect this outage to last through about May 5 and certainly apologize for the inconvenience!